Human Rights Activists News Agency (HRANA) – Pursuant to a phone summons he received one week earlier, Sunni preacher and activist Hashem Hossein Panahi was arraigned in the Special Clerical Court of Hamedan (Western Iran) on Tuesday, September 18th, presumably for participating in the funeral of executed political prisoner Ramin Hossein Panahi. Panahi has denied the charges leveled against him, countering that his speech at the ceremony addressed prisoner rights in a more general sense, and included reference to prisoners’ rights to choose their own attorneys. An instructor at the Imam Bokhari Religious School in Sanandaj, Panahi was sentenced to a six-month imprisonment sentence and thirty lashes by Special Clerical Court in 2013. He was also a former employee of the Judiciary who was dismissed in 2010 after 12 years of tenure due to his religious activism and vocal support of Sunni Muslims rights in Iran. *Special Clerical Court is under the direct control of the Supreme Leader Ali Khamenei and functions independently of Iran’s greater judicial framework. Human Rights Activists News Agency (HRANA) – Mohammad Amin Abdollahi will receive 74 lashes for surpassing the end date of his medical furlough from Birjand Prison. A political prisoner serving an exile sentence in Birjand, Abdollahi was doled the lashing sentence pursuant to a new case brought by Judge Mohabbati of Birjand General Court, branch 104, when he failed to return from his furlough as scheduled. At the time he was forced to return to Birjand Prison, Abdollahi was in the city of Bukan. He had been hospitalized for chronic kidney failure, suspect appendicitis, back pain, and vision problems, many of which were brought on by hunger strikes he staged in 2015. The verdict of his furlough-violation case also stipulates that the Ward 101 detainee will be denied the right to further furlough for a period of six months. 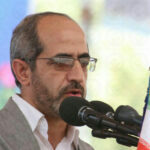 A source close to Abdollahi told HRANA that he has a pending request for conditional release that, as of last week and for unclear reasons, Iranian authorities have yet to address. According to Article 547 of the Islamic Penal Code, any prisoner who escapes from a prison or detention center shall be sentenced to 74 lashes or three to six months’ imprisonment. Prisoners who are on furlough in accordance with prison regulations, and fail to return to the prison at the ordered time without a reasonable excuse, shall be regarded as fugitives and are subject to the same punishment. Abdollahi, a citizen from East Kurdistan, was first arrested in 2005 and spent 15 months in legal suspense before being sentenced in Mahabad Revolutionary Court to 18 years’ imprisonment in exile in Tabas on a charge of “Moharebeh” (enmity against God), for “Collaboration with armed Kurdish opposition parties”, and for another charge of “Propaganda against the regime”. First serving prison time in Urmia and Mahabad, he was then exiled to Tabas before being transferred to Birjand. After spending more than two months in Birjand’s quarantine ward, he was transferred to the general ward. The International Covenant on Civil and Political Rights (ICCPR) explicitly prohibits cruel and unusual punishments such as lashings. 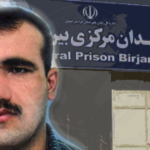 Human Rights Activists News Agency (HRANA) – On Friday, August 17th, political prisoner Ali Badrkhani’s transfer between the wards of Urmia Central Prison (OCP) quickly devolved into admission at the prison’s medical clinic. Badrkhani had agreed to end a seven-day hunger strike in exchange for a transfer from solitary confinement back to OCP’s labor ward. A group of about ten violent offenders accosted Badrkhani during the transfer as prison officials stood by and goaded the attackers. One week earlier, Badrkhani had declared the hunger strike in protest to his transfer to the labor ward, a measure he alleged was disproportionate to his criminal charges, and where he said he experienced harassment at the hands of prison officials. In immediate response to the hunger strike, OCP officials transferred Badrkhani to solitary confinement, where he remained for one week until reaching an agreement with the OCP warden and the judge presiding over his case. Per the terms of their agreement, Badrkhani was being transferred back to the labor ward when a group of about ten violent offenders intercepted Badrkhani and beat him, bruising his face and injuring his shoulder with a sharp object. He was sent to OCP’s medical clinic for treatment. The attackers were led by labor ward manager Merhali Farhang, who managed the OCP’s political prisoner ward from 2010 to 2016. During his tenure, Farhang reportedly secured the transfer of several violent prisoners to his ward, in order to intimidate and exert pressure on the inmates under his supervision. Several violent altercations between political prisoners and violent offenders have been attributed to Farhang’s management. Ali Badrkhani was arrested in the winter of 2015 and released on bail within a few months. Upon his release, he was barred from completing the last semester of his Master’s Degree at the University of Tehran. On March 16, 2017, he was convicted of threatening national security and sentenced to a three-year prison term by Branch 1 of the Revolutionary Court of Urmia. He was taken to Ward 3-4 of the OCP to serve his three-year sentence the following spring. Ali Badrkhani, a.k.a. Shwan, is a Kurdish author who holds dual citizenship of Iran and Iraq. His works include Turkey, Democracy, and the Kurds, Deliberate Discourse, Refugee of Love and Kurdish Folk Tales.